iWork for iCloud: How It Stands Against Microsoft Office? 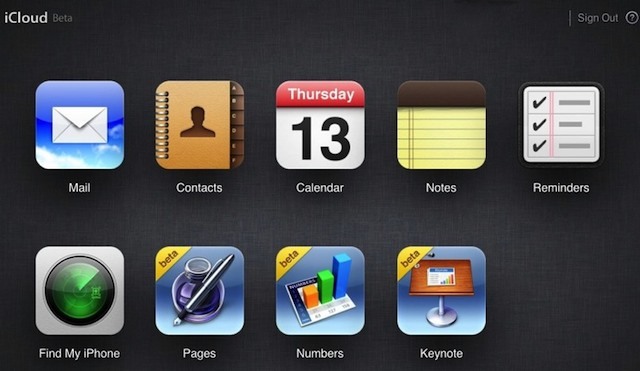 iWork on the Web: What Is It and How It Stands Against Microsoft Office? As a Mac user, it wasn’t a welcome sight when I took my first Mac out of the box that there wasn’t an adequate office manager shipped with the laptop. After paying over a grand, many users would expect this without question. However, with it’s presence non-existant, many users will choose between going with Apple’s iWork suite, or go with familiarity with the Microsoft Office suite. If you’re like me, you have both. But, with WWDC 2013 allowing for the announcing of a iWork for iCloud, what is the state of the office manager now that it will offer a feature only its competition possessed previously. iWork is Apple’s answer to a document manager. The suite is made up of three applications, Pages, Numbers, and Keynote (linked to Mac App Store). Pages is the Apple equivalent to Microsoft Word. Both have similar capabilities, however I’ve found that both have their own aspects that I make use of regularly. For example, Pages handles fonts and multimedia very well. However, Microsoft Word seems to overall give me the power in terms of page formatting and box tables. Secondly, there’s Numbers which is specifically focused on charts and graphs. You are able to create charts that are heavily formatted for the projects you have to get done. You can make use of math if you are knowledgable enough of it to format your graphs, however those who are a bit afraid of numbers still have the ability to show off their designing skills in Numbers. Due to it’s spreadsheet capabilities, Numbers is closely the Excel equivalent for iWork users. Finally, there’s Keynote, which is the presentation app for iWork. Keynote allows you to have more of a creative ability to make the presentations the way you want them to be. I use Keynote more often than Powerpoint because of the animation and theme features. Plus, Keynote as well as Numbers and Pages documents are easily exportable to Microsoft Office suites as well as in a movie format for Keynote. iWork is also available for iOS (Pages, Keynote, Numbers). Now that you understand what iWork is all about, let’s dig deeper to understand what will come out of iWork for iCloud. Previously, we could use iWork with iCloud when accessing saved documents through iCloud.com. However, you couldn’t go any further with editing or saving within the browser. 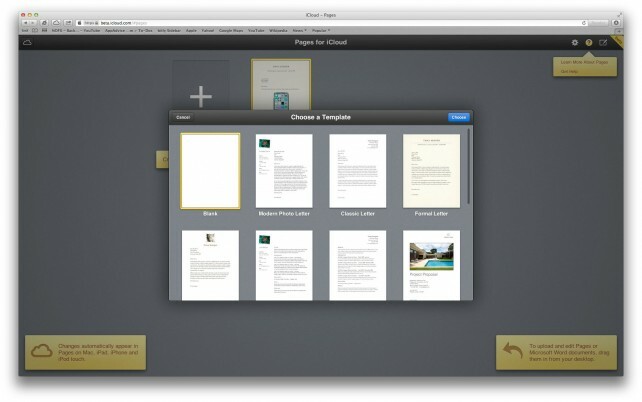 Now, iWork for iCloud allows you to edit and create documents and presentations from all three apps in the iWork suite. But Apple went further, and where iWork for iCloud is compatible and with what is the best aspect of this announcement. Apple made it a point not to ignore Microsoft with this release. Along with Safari, users can make use of iWork for iCloud through Internet Explorer and Chrome. But that’s not all. iWork for iCloud is also compatible with Microsoft documents. Yep, that’s right, iWork for iCloud allows you to edit documents added into iWork for iCloud that were originally created in Powerpoint, Excel, or Powerpoint. The announcement of iWork for iCloud is a welcome induction for individuals who have always wanted to find a way to interact with iWork while on the go. As an iWork user, the only interaction I had with iWork outside of my own Mac and outside of a computer without the software was through iCloud’s ability to save your documents in the cloud for accessibility elsewhere. When I had to do presentations, this came in handy. Now, the ability to stretch the capabilities even further is a very welcome surprise. The iWork for iCloud Beta is available to registered developers at the moment.